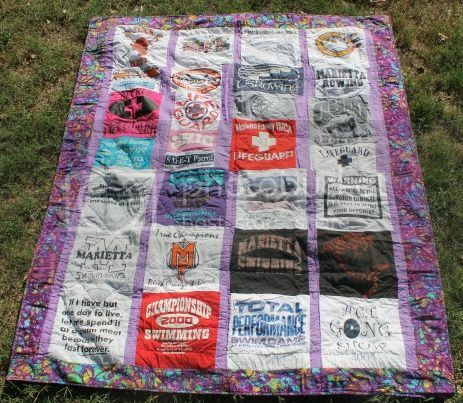 Marietta T-Shirt Quilt - Finished! I have a stack of commissioned t-shirt quilts to work through before Christmas, so this is the first of a few you'll see over the next couple of months! This one is for my husband's cousin, and there were a lot of things I learned while making it. 3. 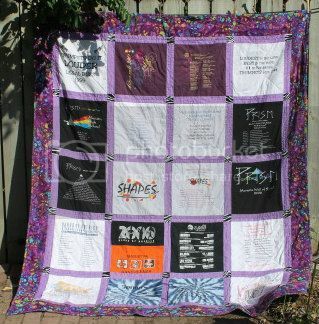 If you have more than 25...make two quilts. 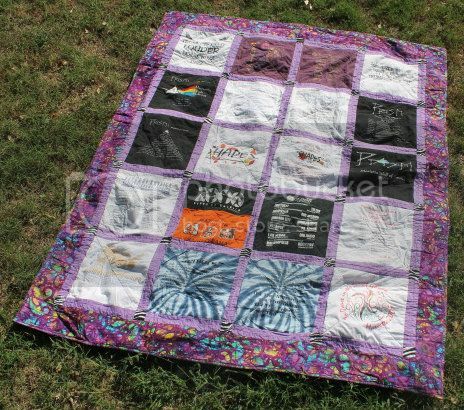 Backing a t-shirt quilt with a t-shirt quilt is a pain! 4. Cut everything to the same size, instead of piecing them together like a puzzle. 5. If you do piece it like a puzzle, measure and PLAN before cutting. 6. Use a walking foot. For every step! Quilting is cross-hatch through the sashing and diagonal through the blocks, in invisible thread.